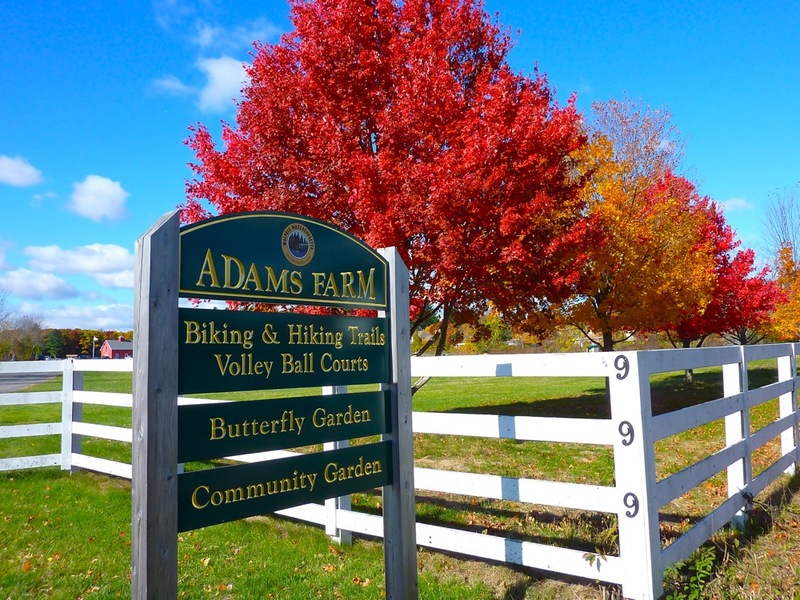 It's astounding that suburban Boston, Mass., in this age of overdevelopment, can still have places like Adams Farm. 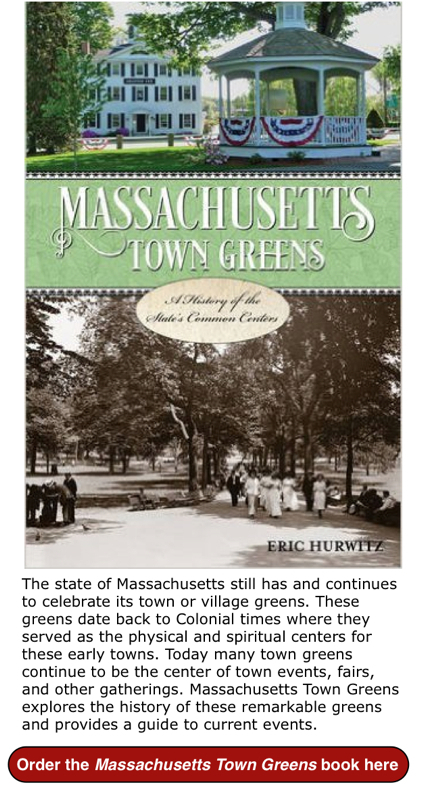 Having been saved from development by some hardy, persistent and nature-loving residents of Walpole, the 365 acres -- run by the Friends of Adams Farm, a group of area residents -- takes you away from the stresses of modern life It's a great place for fall foliage leaf peeping, hiking, picnics, cross country trail walking, non motorized bike trail riding, nature photography, bird watching, cross country skiing, snow shoeing and sledding. I recently came across a beautiful yet easy hike at the new Monarch Trail. 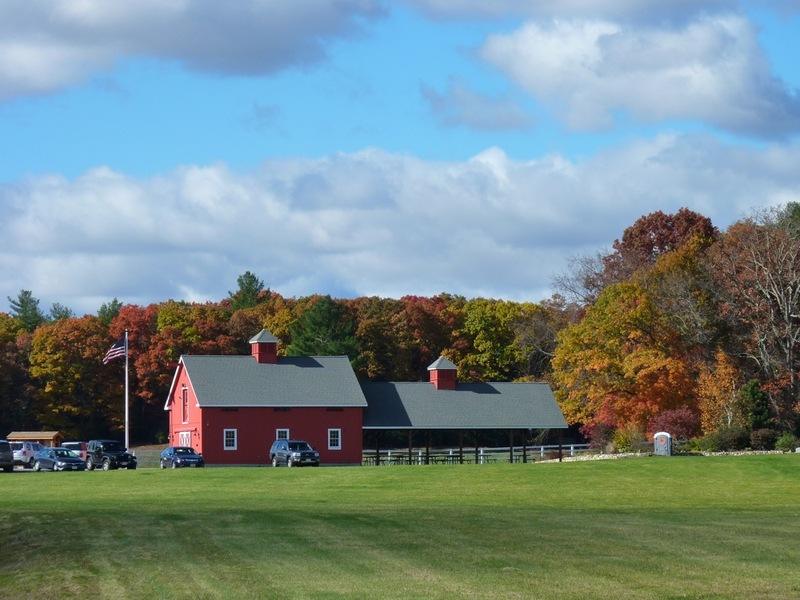 Created by the Adams Farm Trails Committee and local Eagle Scouts, this refreshing half-mile hike takes you by a big, scenic grassy field, footbridge and vernal pool. A few slight inclines lead to a bench under a big, old tree — a nice spot to sit and take in the beautiful views of the red barn and open spaces. The trail is well-defined and consists of wood chips. The trail is named after the monarch butterflies saturating the fields and the adjacent Adams Farm Butterfly Garden. We especially love the several miles of scenic, wooded trails going off in different directions. You could spend an idyllic morning or afternoon here,, weather permitting. Additionally, The Friends of Adams Farm recently raised over $100K to create a beautiful red barn and pavillion. Not only is it a rural visual delight, but also a wonderful place to have a picnic -- the open fields, distant farms and woods create a dining atmosphere better than any restaurant! 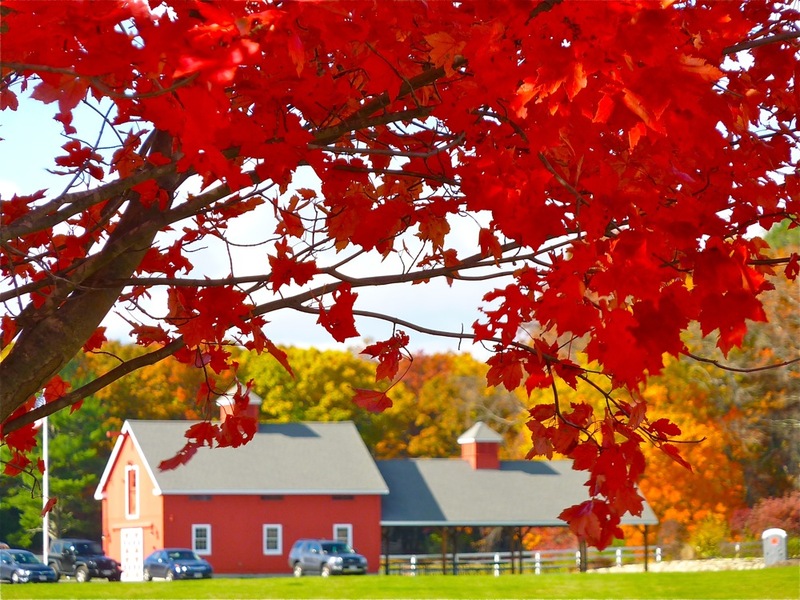 Adams Farm is the perfect place to enjoy the great outdoors without having to travel to New Hampshire or Vermont. There are times at Adams Farm when you feel you could very well be in those two states, given the lovely countryside and chance to commune with Mother Nature. 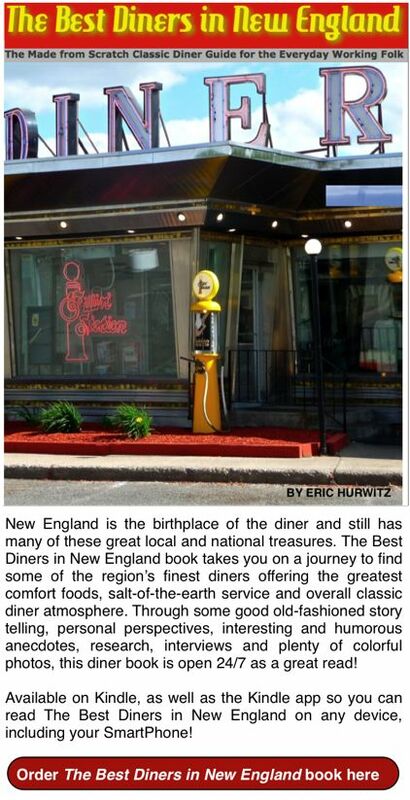 Adams Farm is located at 999 North St. in Walpole, MA. Visit the Friends of Adams Farm Web Site for more information.